Welcome to Kirkland Hall Cottages. 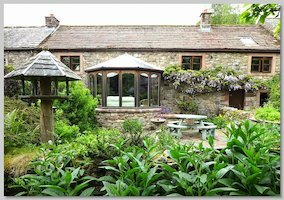 Self-catering holiday cottages in Cumbria The Lake District. The Lake District Fells and panoramic views of the Eden Valley are the backdrop to our four exclusive self-catering holiday cottages. 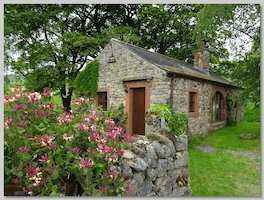 The cottages nestle in an area designated an "Area of Outstanding Natural Beauty" the foothills of the North Pennines, home to some of the rarest plants and wildlife in Britain. Cumbria and the Lake District is renowned for its wild and stunning landscapes. There are beautiful lakes like Ullswater, Buttermere and Coniston to the South, with the lush Eden Valley and the rolling North Pennines as its eastern boundary. Our self-catering cottages have featured in Country Living Magazine's "Great Escapes". They are comfortable, well-furnished and are maintained to the highest standards by Lesley & Ian the resident owners. 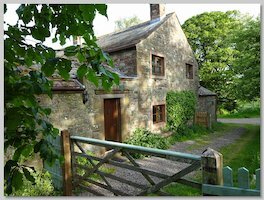 Each cottage was created from a range of ancient stone barns, a project which was voted "the best barn conversion in the North of England". All four cottages have large wood burning stoves as well as gas central heating for that cosy night in by the fire. 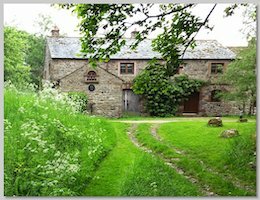 A network of footpaths starts right outside your holiday cottage door. You can wander just 100 yards up the track to experience the tranquillity and freedom of the open Cumbrian fells (hills). The more energetic can make for the top of Cross Fell for spectacular views of the Eden Valley and the Lake District fells. If you want to get away from it all, explore some amazing landscapes, do a few walks, visit some traditional pubs or just relax in front of an open fire, our cottages are just what you need. The large informal gardens and pastures surrounding our holiday cottages are a haven for rabbits, badgers and red squirrels. They are host to dozens of species of migrant and resident birds including woodpeckers, tree creepers and nuthatches, whilst the Fells above us are home to skylarks, curlews, buzzards and peregrine falcons. The cottages are the perfect base for walkers, cyclists and motorists, exploring not only Cumbria and the Lake District National Park, but also the Yorkshire Dales, Northumbria, County Durham and the Scottish Borders. Resident Owners: Lesley and Ian Howes.